Lauren is an Integrative Nutrition Health Coach and Movement Specialist. She has been studying and working in the Healing Arts for more than 20 years. Based on her studies at the Institute for Integrative Nutrition, Lauren’s approach to health coaching is holistic and engages with the whole person in order to evoke true healing…..through diet, relationships/sexuality, work/inspiration/creativity, movement/exercise/fitness and spiritual practice. Working deeply with the source of issues, as opposed to symptoms, leads to greater awareness and ultimately, greater wellbeing. Sessions and programs are tailored to the individual needs of each client or couple. A Pilates & Barre trainer and Movement Therapist, Lauren has studied with Pilates and Movement Specialists from all over the world. Her method is a culmination of years of study and experience in the field, with a specific focus on alignment and re-education of movement patterns and ease in the body. Her areas of specialized study include: women’s health in movement, prenatal & postpartum health, functional movement re-education, healthy gait, sports conditioning & injury prevention, postural health, the aging body in movement and optimal individualized fitness training. 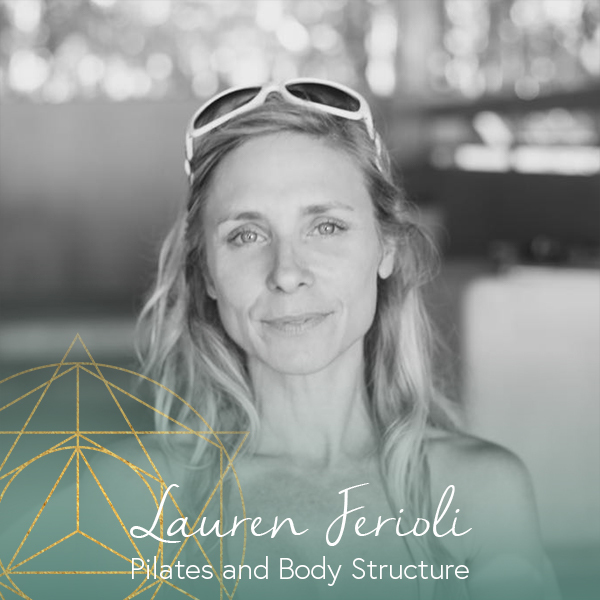 Lauren is the owner and lead trainer of fiSíQ pilates, barre & fitness studio in Playa Carmen, Costa Rica, which serves the local population as well as visitors and retreat attendees. The studio is fully equipped with Pilates machines, wood floors, mirrors and ballet barres (and, of course, air conditioning is a plus).